Hairdressing armchair ANGELINA, buy at the price of 212 in Europe. 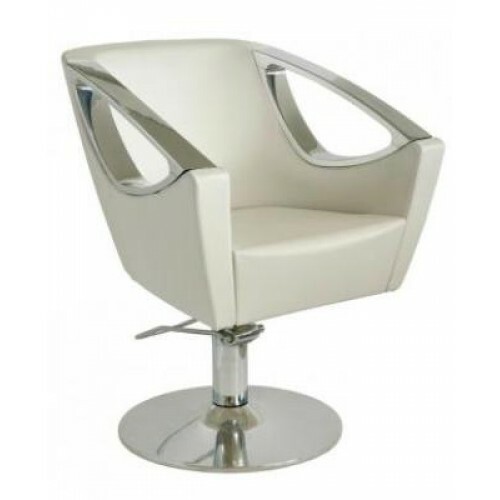 Hairdressing armchair Angelina is a key element of the hairdressing room and beauty parlor. The main task of it is to ensure a customer convenience and comfort throughout the procedure. Our company presents you a new model of hairdressing armchairs - Angelina. At its production, the most modern technology was used, which makes the armchair stylish and reliable. Hairdressing armchair Angelina is a perfect solution for your hair salon - it has a beautiful and functional stylish design. It is produced from high-quality metal and covered in high quality leather, which is ideal to clean and disinfect. The armchair is equipped with a hydraulic function, which simplifies the work of the master greatly, and allows you to choose the right height for the customer.